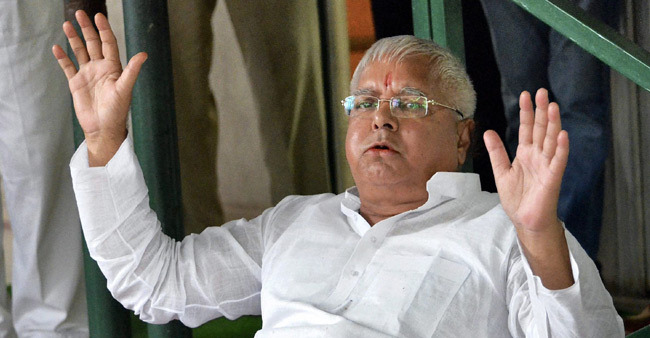 NEW DELHI (92 News) – Amid the raging controversy over the recent killing of a man in Uttar Pradesh allegedly over consumption of beef, Rashtriya Janata Dal president Lalu Prasad said that the Hindus also eat beef. He asked whether Hindus are not eating meat. The RJD chief said that some of those living in foreign countries or visit abroad eat beef and even in the country, some Hindus eat beef. “What is the difference between beef and mutton for those who consume meat,” Lalu asked. Lalu’s remarks evoked sharp response from the BJP. The party’s firebrand leader and Union Minister Giriraj Singh said Lalu should stop denigrating Hindus by making such remarks.